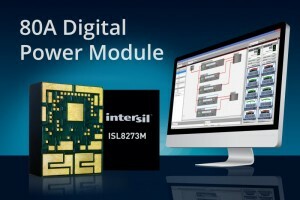 Intersil Corp. recently announced the industry’s first 80-A fully encapsulated digital DC/DC PMBus power module that provides point-of-load (POL) conversions for advanced FPGAs, DSPs, ASICs, processors, and memory. The ISL8273M is a complete step-down regulated power supply that delivers up to 80-A output current and operates from industry-standard 5- or 12-V input power rails. Multiphase current sharing of up to four ISL8273M power modules enables you to create a 320-A solution with output voltages as low as 0.6 V. The compact (18 mm × 23 mm) ISL8273M provides high power density and performance for increasingly space-constrained data center equipment and wireless communications infrastructure systems. The ISL8273M digital power module leverages a patented ChargeMode control architecture that delivers superior efficiencies, with up to 94% peak efficiency and better than 90% efficiency on most conversions. It also provides a single clock cycle fast transient response to output current load steps common in FPGAs and DSPs processing power bursts. The 80A ISL8273M further distances itself from competitive digital power modules by delivering 2× higher output current. Its proprietary High Density Array (HDA) package offers unmatched electrical and thermal performance through a single-layer conductive package substrate that reduces lead inductance and dissipates heat primarily through the system board. The ISL8273M, available now in a thermally enhanced 18 mm × 23 mm × 7.5 mm HDA package, costs $69 in 1,000-piece quantities. The ISL8273MEVAL1Z 80A digital module evaluation board is available to speed time-to-market and priced at $89. 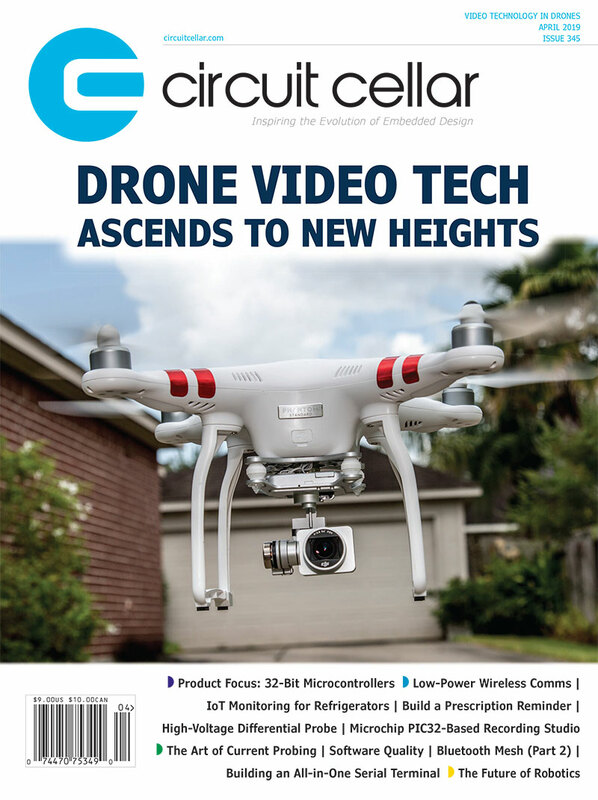 This entry was posted in CC Blog, Product News and tagged FPGA, Intersil, ISL8273M, PMBus by Circuit Cellar Staff.